There’s nothing worse when you find yourself in a far flung place with a sting, a bite or a headache after one Pina Colada too many than having to track down a pharmacy and try to explain in your best local dialect what you need. So whether you are 18 or 80, we’ve put together a few essentials for your holiday handbag to keep you out of the pharmacy and on the beach. For countries where hygiene needs to be carefully monitored, pack hand sanitiser, loo seat covers and Imodium tablets in case the worst should happen. Citronella oil is great for warding off mosquitoes but you should have an After Bite stick to hand or some Anthisan cream for bites and stings, and wet wipes to cool and soothe. Don’t forget to pack the paracetamol for those post cocktail headaches and some plasters and antiseptic cream for blisters and small cuts. A factor 50 lip screen and water resistant sun cream are essential if you have sun sensitive skin or are travelling with small children. 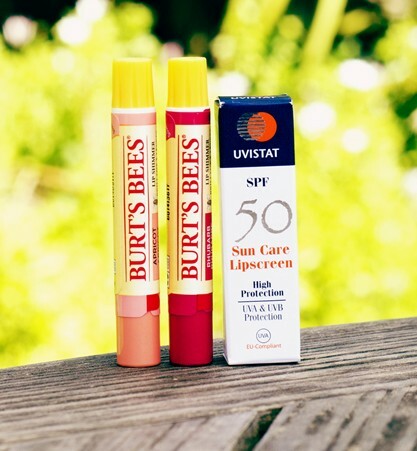 As well as the purely practical, take along some of our lovely Burts Bees lip shimmers for al fresco evenings, some ‘Muelhens 4711’ scented refreshing tissues, a Tropical Shine nail file, Quickies nail polish removing pads and the pretty new range of Morris & Co miniatures for baths and showers. They are all small travel sizes so ideal for your holiday handbag. If you’d like some advice about what you should take to make your holiday stress free then come and have a chat with us at Gibbs & Gurnell and we can make some suggestions which will suit your holiday destination perfectly and keep you healthy.